Uganda has experienced 20 years of civil war. Consequently, a significant number of people in the country have spent a good part of their lives in camps surviving on humanitarian aid. After the signing of the peace agreement, the population was able to rebuild villages and become independent. 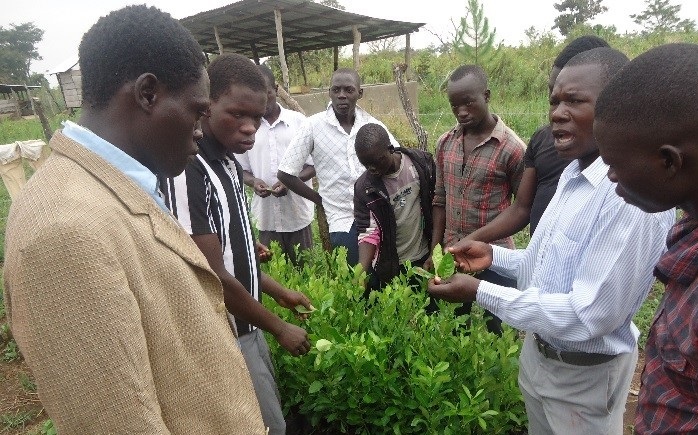 In a country where most of the population lives on agriculture, Humanium has decided to focus on this area by calling on specialists in agriculture and business management so they can train young people from the district of Nwoya. 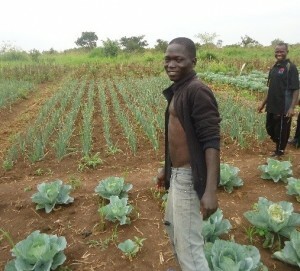 The organic agriculture school project’s main objective is the increase and development of agricultural production through training, to enable families to increase their income and thus avoid instability. The project will provide 480 students, women and men age d 16 to 30, a four-month training session on the theory and practice of organic farming. This training will be spread over two years and aims to raise awareness on the importance of agriculture and that of responsible ecological conduct for sustainable development. Students learn how to cultivate the land, to manage their own business, and to carry out their agricultural project, allowing them to become independent. In addition, they are trained to become future trainers, enabling knowledge to be shared with other people and future generations. 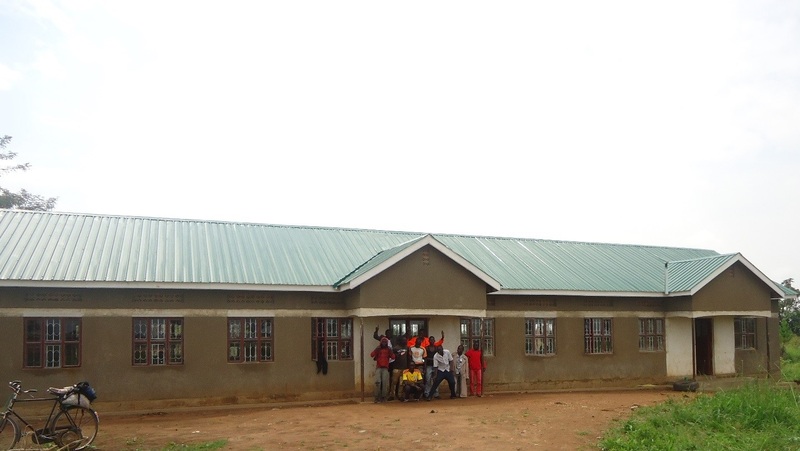 The NGO ACOT, a local partner of Humanium, also organises microcredit projects to assist rural families and to improve their standard of living. This is a long term project promoting sustainable development while underlining the importance of the awareness by the local population and by future farmers of the harmful nature of the use of pesticides and chemicals in the soil. The ultimate goal is to improve living conditions for young people and their families, as an increase in agricultural production leads to an increase in net family income. 2,800 Nwoya District households should benefit from our project by 2017. The program, which started in January 2015, is a great success! At the end of 2015, over 2,200 plants had been grown by the school’s nursery. It was officially recognized as a training center for students who wish to obtain a recognized degree and continue their education. 116 youth have been trained in 2015 and the goal of training 480 young people by 2017 remains achievable! You can MAKE A DONATION to change a young person’s life and guarantee them a better future!